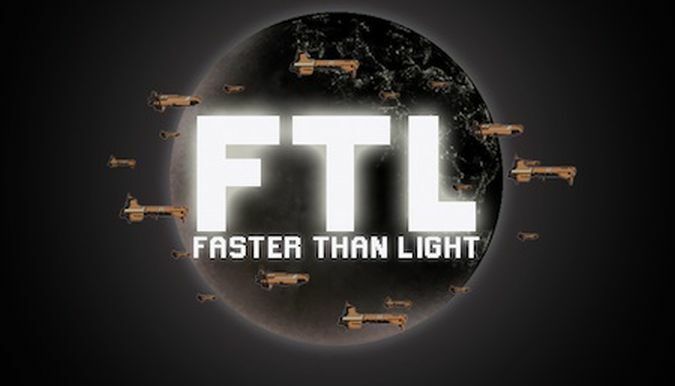 Rock B has one of the more unique ship setups in FTL. This is the only ship in the game that lacks a Door system - I dunno, maybe they have curtains separating the rooms or something like that! If enemies teleport onto the Rock B, there's no way to stop them from roaming around wherever they want to go. Similarly, this is also the only ship with no openings in the hull to the vacuum of space. The only way to put out fires is to employ your crew members, no draining oxygen as usual. Now the designers did compensate for this by giving the player the maximum starting crew of four, all of them fire-immune Rocks. These guys generally do well against boarders, and they can put out fires without much difficulty. Nonetheless, it's definitely a weird setup and provides a unique identity for the Rock B Cruiser. The starting weapons are definitely on the weak side. This ship has a special weapon in the form of the Heavy Pierce I, essentially the same as the normal Heavy Laser except that it ignores one shield layer. Unfortunately it also costs 2 weapon power instead of 1 weapon power, and that's a major drawback later in the game. Note that this means the player cannot use both the Heavy Pierce I and the Fire Bomb at the start of the run, as each costs 2 weapon power. Only one or the other. As for the Fire Bomb, it's a very fun (if somewhat impractical) bomb weapon that deals no direct hull damage but does cause 30 HP of damage to enemy crew and sets fires on the opposing ship. The Rock B can be a very good ship for Teleporter use, with its large complement of Rock crew and those fire bombs. 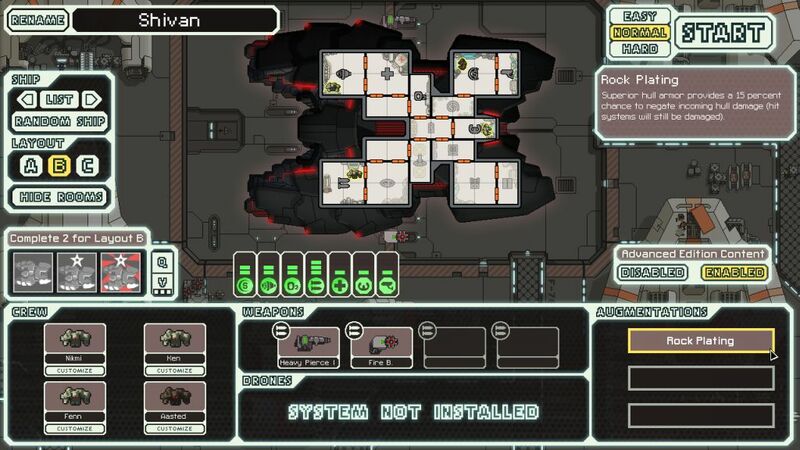 Bomb some key system on the enemy ship and set it on fire, then send in the fire-immune Rocks. However, this ship doesn't start with a Teleporter, and there's no guarantee of finding one at a store. The conventional weapons are definitely on the weak side. 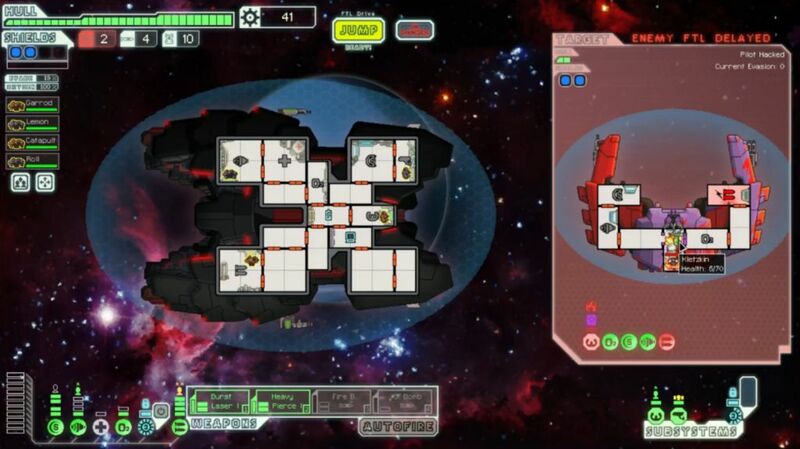 As soon as a ship appears with two shield bubbles, you're pretty screwed. And there's no guarantee of the Heavy Pierce I shots hitting either - just like the poor Engi B, since only one shot can deal damage, if it misses you achieve nothing. A string of bad RNG at the start of a battle can be crippling.